Water temperature is in the low 60's and the weather is beautiful. No fish are being caught from boats at the moment. 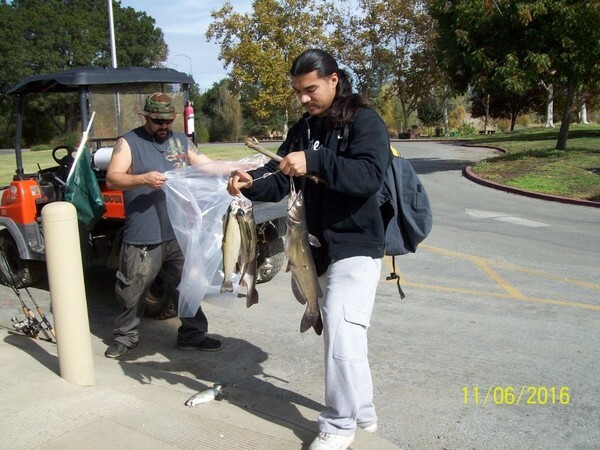 Most fish are being caught from shore in areas like hetch hetchy and the East Beach. Power bait products are the bait of choice for anglers casting from shore. Kastmasters and spinners are the go to lures right now rippin’ out limits. Come up and see us and rent a boat so you can go get that monster of your dreams. Regular trout plants have been happening at the public launch. Anglers usually start to catch them the next day. 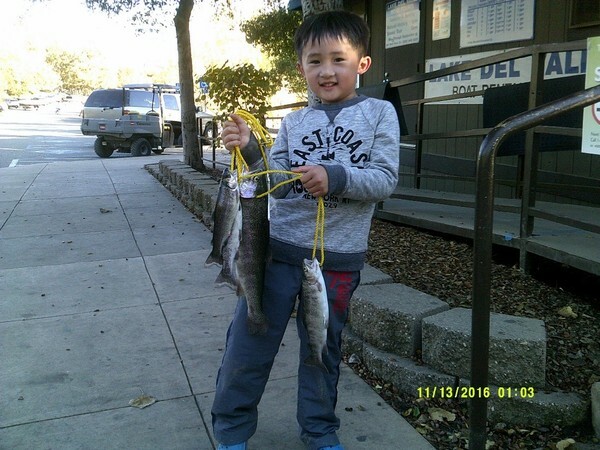 Many fishermen have caught their limit of trout from the East Beach. Kastmasters and Power Bait brand trout baits have been the hot ticket. Power bait eggs and worms are deadly for shore fishing along with good ol’ night crawlers. Most fishermen will fish power bait off the bottom with a 2 foot leader, but don’t be afraid to float a worm under a bobber. Sometimes simplicity can be the answer to your prayers. Bugs, worms and native baits can also be the trick if the bite is slow or even off. Anglers are catching trout on a variety of lures from a simple worm under a bobber to spinners like rooster tails and panther martins. The most effective being a 1/4 oz. silver kastmaster. Large and Smallmouth bass are eating flukes and swim jigs along with chatter baits and top water. No bass catches reported. One big stripe was caught in the south end this week.